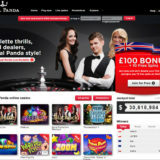 Playtech, the world’s leading gaming content and software, systems and services supplier, has launched the industry’s most cutting-edge live casino HTML5 Roulette product across its network of licensees further bolstering its reputation as the world’s leading live gaming offering. In partnership with licensees and following extensive user experience testing and benchmarking analysis over the course of 2016, Playtech has launched the most sophisticated live mobile roulette product on the market. In the first week of launch this has resulted in superior player engagement levels, longer session times across all devices, and significantly increased revenues for licensees. For the first time players are able to seamlessly play live roulette on mobile and tablet in either portrait or landscape mode while simultaneously being able to see their bets at the same time as the roulette wheel is spinning. 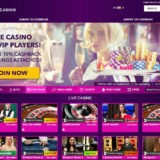 Several rounds of intensive user testing and feedback enabled the Playtech live casino team to significantly enhance and re-design the user interface and overall gaming experience. As a result, the mobile user interface contains simple and easy-to-use navigation, clearer and perfectly positioned play and feature buttons and an ideal personalised view of the live action and table layout no matter what viewing format you choose. 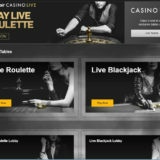 Within two days of launching the new HTML5 roulette across Playtech’s live casino network in parallel with the previous roulette product, the overwhelming majority of players were found to have migrated to the new improved version. An HTML5 Blackjack product will launch later this year offering a new, enhanced, richer product across all mobile and tablet devices. I’m always a bit skeptical when I get a gushing Press Release. It’s almost over the top sometimes, but I can understand that. If you have something good why not shout about it.? Well the new version is pretty good. What I particularly like is the automatic adjustment of the playing screen when the game round goes from betting time to viewing time. The image reduces in size and the table layout increases so you can place your bets more easily. It works even on a small mobile phone. The flip between portrait and landscape modes is slick and both are as playable as each other. Normally I find that one is better than the other, but in Playtech’s case they are both good. This release follow a furry of activity on the live Mobile Roulette space, with NetEnt having released mobile roulette a few months back. If you want to try out then Bet365 have it.